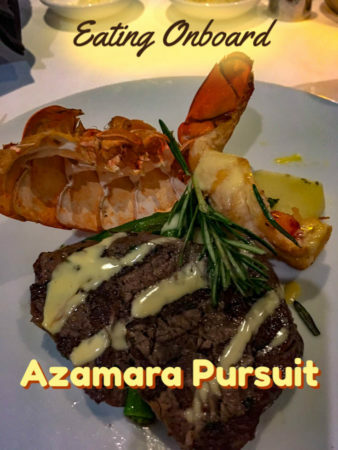 The newest of three ships in the Azamara fleet, we sailed during the inaugural season of the Azamara Pursuit over Christmas and New Year’s Eve. 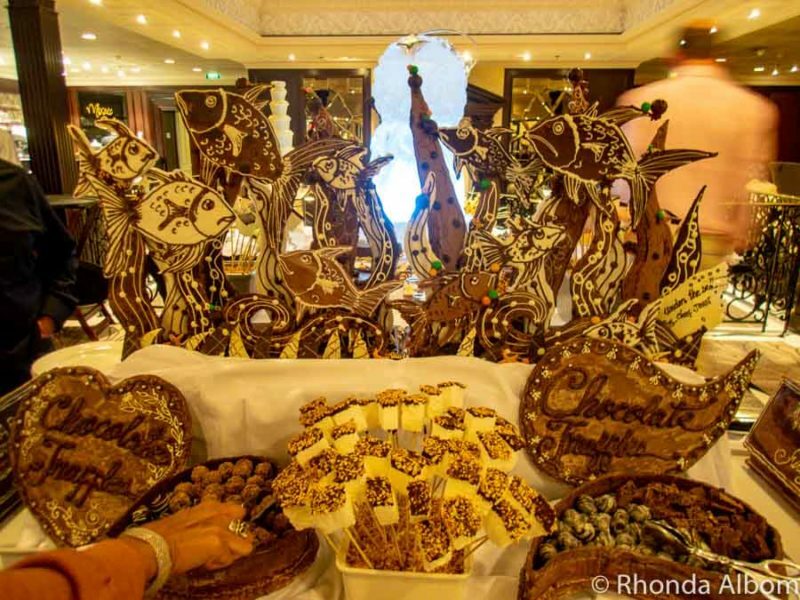 Subtle festive signs were interweaved throughout the Azamara cruise ship. 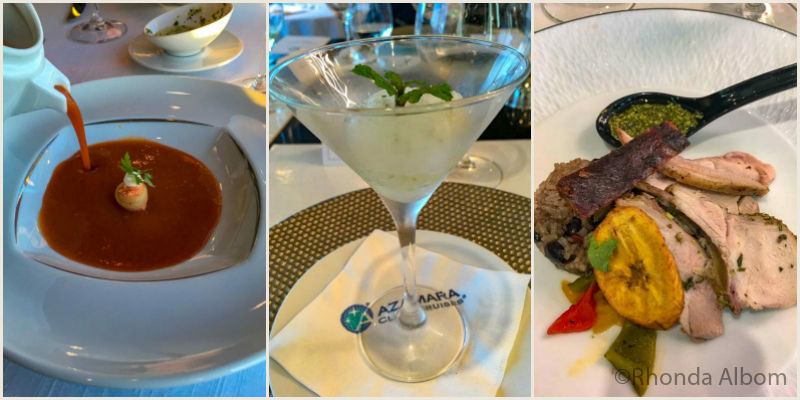 We were enticed to try Azamara by a great deal on the cruise. 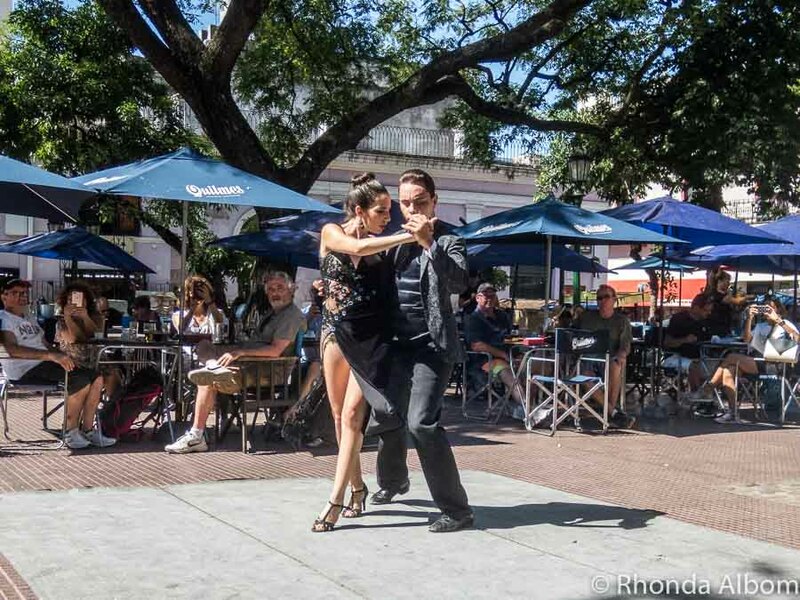 There are so many things to see and do in Buenos Aires. We often get the best prices when we can travel last minute, or when we purchase through companies like Cruise Direct. Remember, cruise companies don’t like to sail with empty cabins. Where will your boutique cruise on the Azamara Pursuit take you? 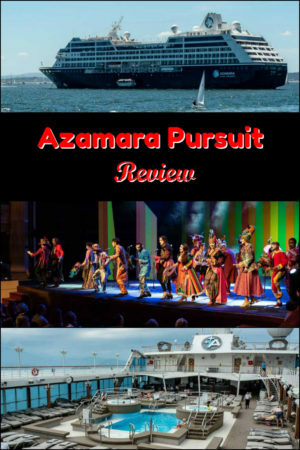 Disclaimer: We have a professional relationship with Royal Caribbean International, the parent company to Azamara. However, we paid for passage on this New Year’s Eve Rio Cruise. The opinions expressed here are strictly our own. 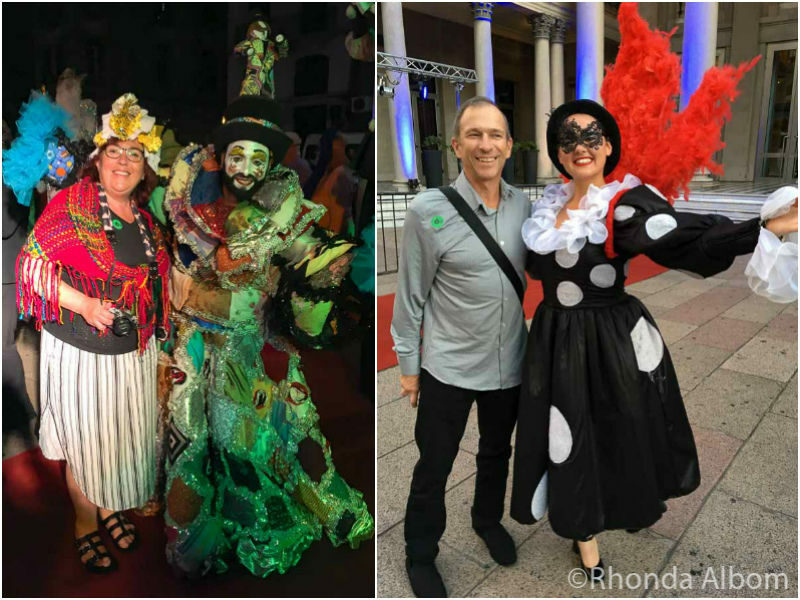 It really is a great idea doing South America the cruise way. Lovely shots and descriptions, as always! 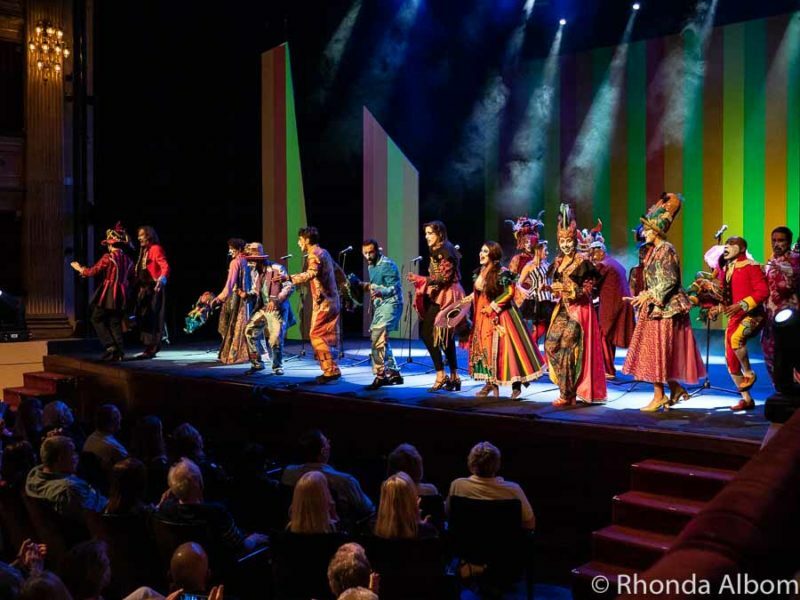 I never actually considered doing a cruise through South America – but now after reading your post I think it might be the ideal way to see the continent for the first time. Especially as I don’t speak Spanish! Thanks for sharing your review! 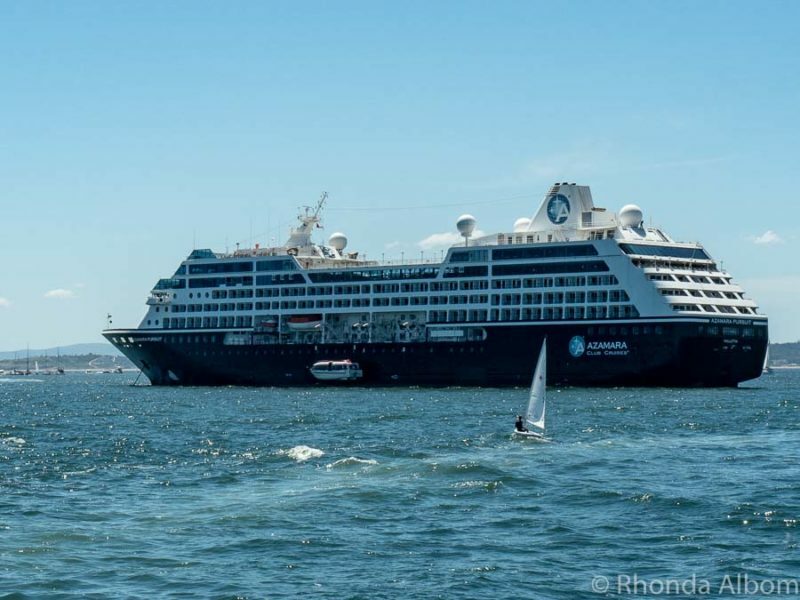 Rhonda, the Azamara Pursuit looks like a lovely cruise ship, and it appears that you had a full itinerary. Believe it or not, I haven’t been on a cruise since I traveled with my parents when I was a teenager, and those ships were huge. 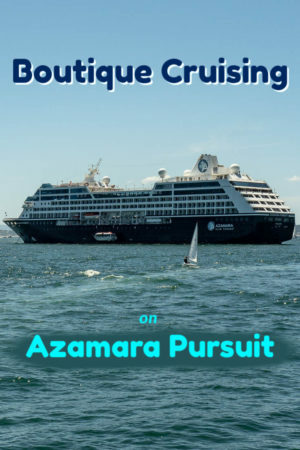 If I ever take another cruise, I would choose a boutique cruise ship like the Azamara Pursuit. A nice collection of colorful, joyful images, beautiful ship. Absolutely luxurious! Only in my dreams for sure! Thanks for sharing though! Looks wonderful! What a trip! Thanks for sharing! What an experience. I’m not really a cruise person, but the itinerary looks just amazing. And the view of the fireworks from the water? Yes please! This sounds significantly nicer than the cruises I’ve looked into on Carnival or Norweigan. I’ve never booked one because I’m concerned I won’t like the atmosphere, but this sounds more like my style! I like how they encourage their guests to get immersed in the culture of the destinations and I like how the groups are limited to 25 people. Glad I came across this post because I have never heard of it! What an amazing looking cruise! So many exciting ports and things to do! I’m going to have to have a closer look at that cruise line. Omg what an amazing opportunity!!! I just love cruises. One of my favorite ways to travel that’s for sure! 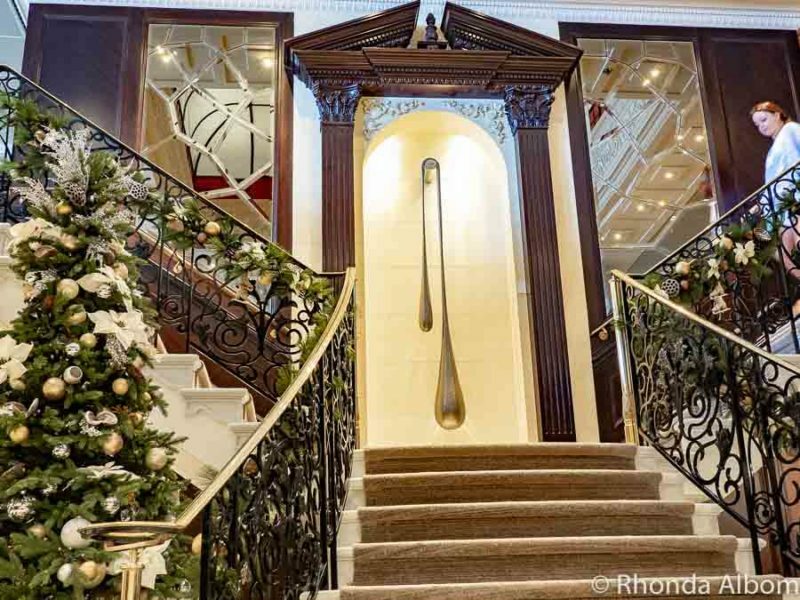 That’s quite a grand staircase and doorway! 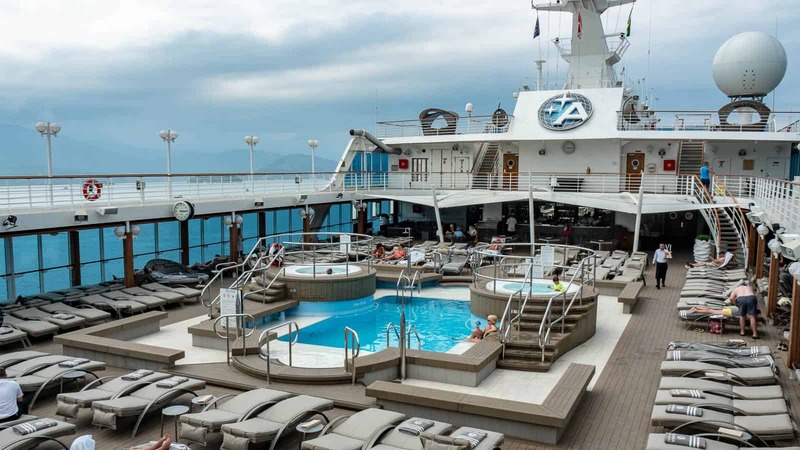 I love cruising, but I have never tried Azamara. Looks very nice. I’m seriously impressed with this itinerary, I’d LOVE to go on this cruise. Especially with only 700 people. The only cruise I’ve ever taken was on a monster ship of 3000 and I struggled rather with the crowds. That is one amazing cruise ship! The draw for me would be the ability to see those ports that aren’t on the usual cruise ship route. 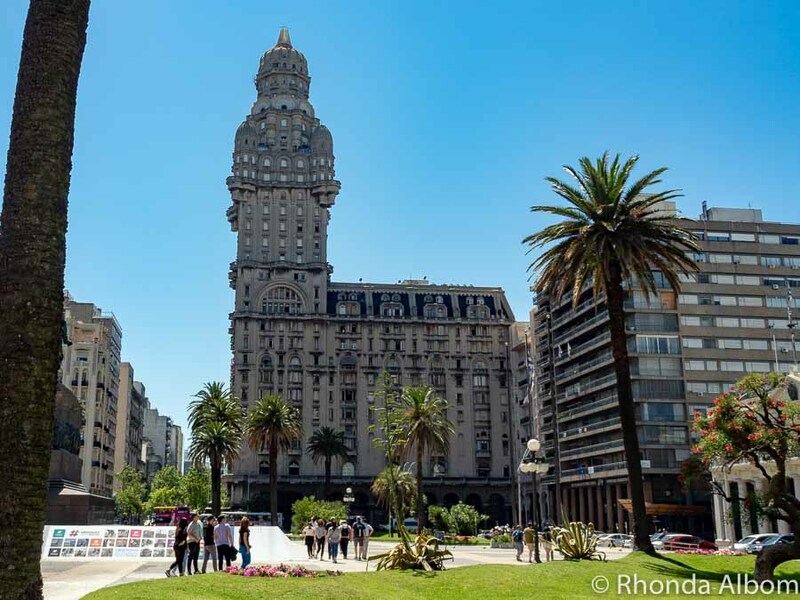 I’d love to visit Uruguay, for example. What a privilege to see so many ports of call! I’m happy to hear of a pleasant review of a smaller cruise ship as we are looking into traveling on a smaller ship next year. Glad to hear that you felt so at home and that there was still plenty to do. Looks like a fantastic itinerary – I’d love to travel it someday. 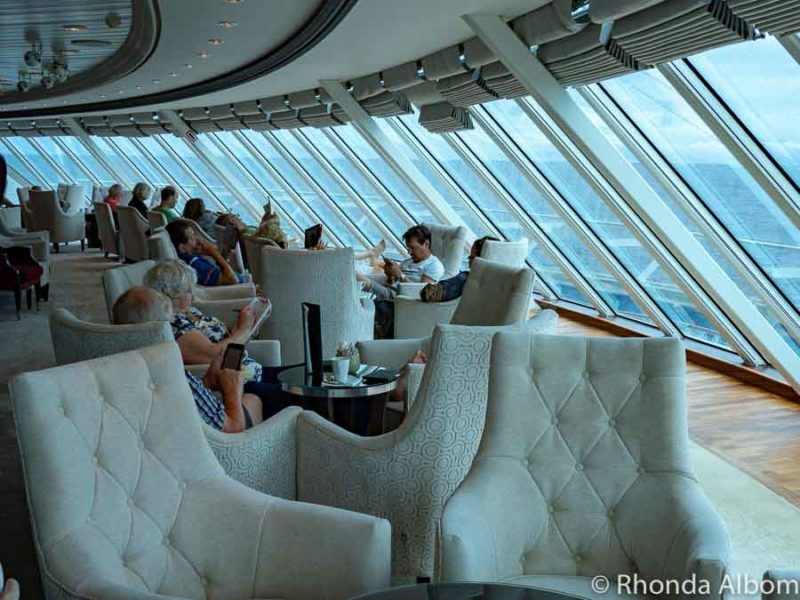 Wow the cruise experience looks lavishing. I have heard horror stories but from the photos and your thoughts, fabulous. So many great amenities and entertainment! Nice reading about your experience in the cruise. You and your family surely had lots of fun. I would love to travel in it. This looks fabulous. I love the idea that random guests can play the piano. We once heard a young man play a beautiful grand at Frankfurt Airport. It was mesmerising and drew quite a crowd. He was followed by an equally talented young woman. Both were, like us, just travellers passing through. It was quite magical. The cruise sounds amazing! Would love to go to South America and combined with a cruise and more time in ports should be perfect! I love the views of the ports. we are planning to go to South America. This cruise looks perfect. What an amazing vacation! My family will love this ship, especially that Amazing evening. My dream is to go on a cruise. They always look like so much fun and this one is absolutely gorgeous! What an experience! I’ve been on a few cruises, but always with the same line. 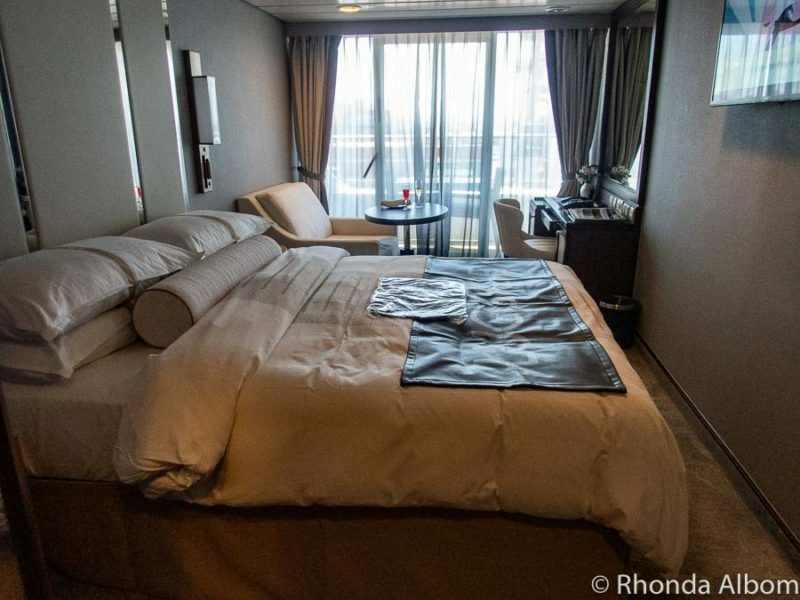 Your post convinced me that cruises can definitely be a heightened experience of luxury and elegance, just the kind of thing I would like from a vacation every now and then. I love how the excursions focused on cultural immersion. That is the best way to get to know a country, in my opinion! The cruise ship itself looks gorgeous too. I haven’t heard of a boutique cruise before. It definitely looks extra special though. 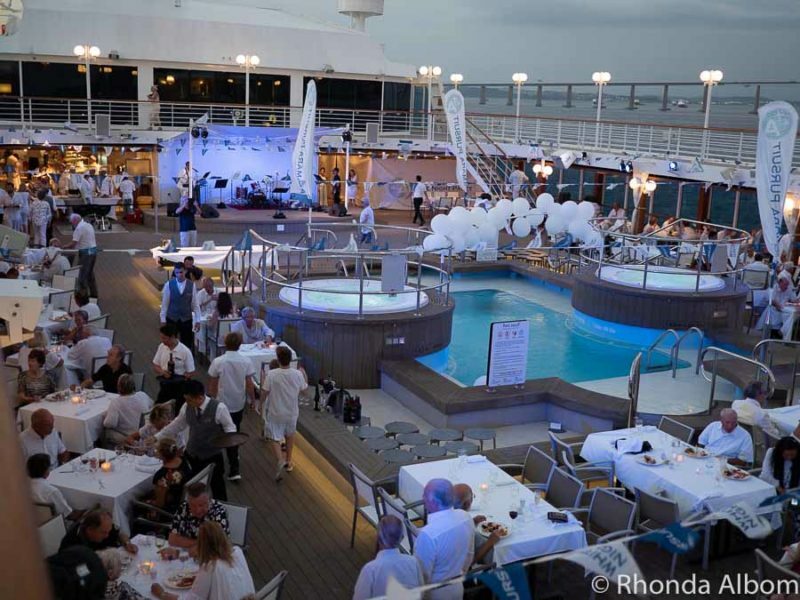 I love the white event on the deck, so classy. And that indoor stairwell looks just like the Titanic, right? Great review! I’ll be boarding in 5 day in Rio for the 17 night crossing to Lisbon. I love cruise ship and would love to go on one.Lovely trip you had there. 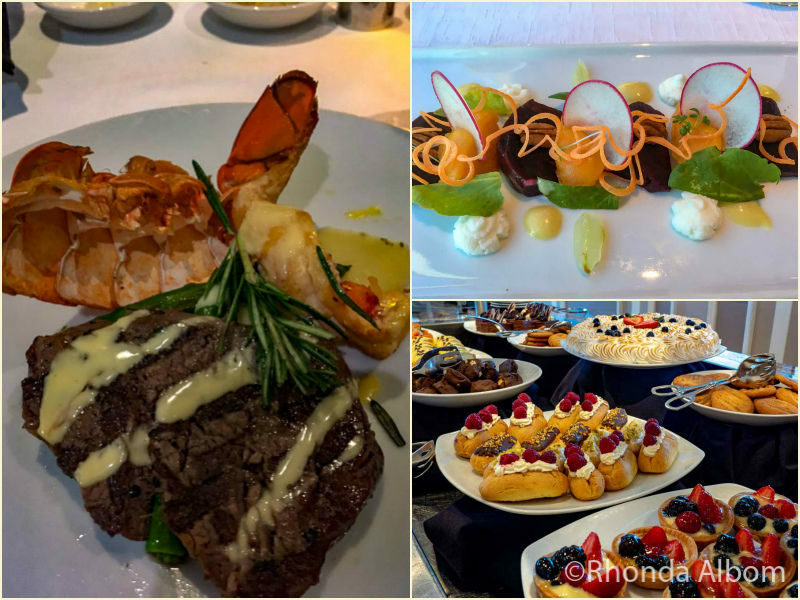 What an awesome cruise experience! I would love to take a South American cruise; I don’t even think I’d have to leave the ship; it looks amazing! WOW! 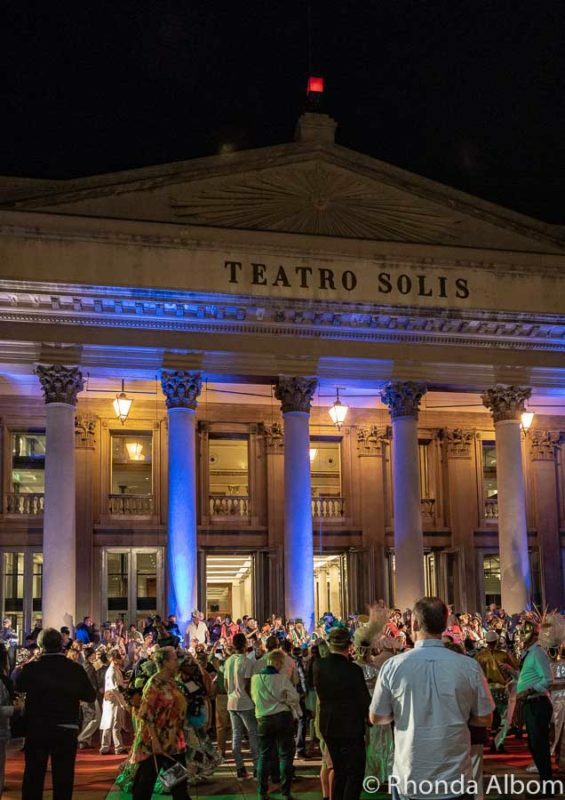 New Year’s Eve in Brazil is off the charts! What a celebration; I would love to those fireworks in person! Cruises are so much fun! I love it with all my heart! I definitely wouldn’t mind hop on this cruise now. Plus South Africa is in my bucket list for ages. This looks like such a fun cruise! I love all of the culture! Thanks for the tip about the last minute deals. What an amazing experience! I’ve been on cruises before, but this looks like cruising taken to a whole new level. Everything looks so relaxing and luxurious. I’m glad this was more than you dreamed. Being pleasantly surprised is always a good thing. Great shots of your adventure. 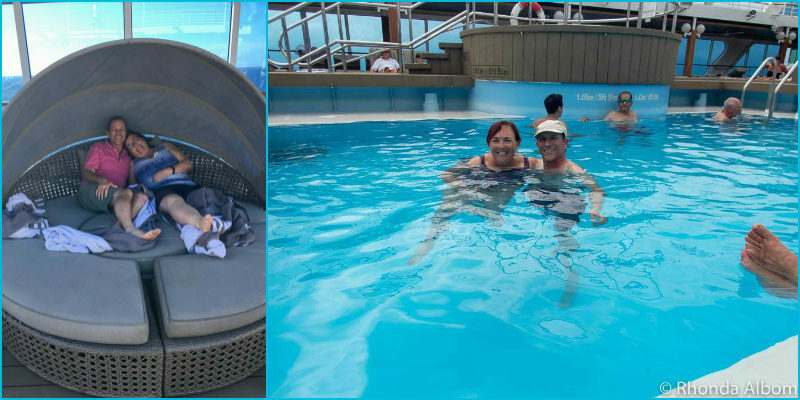 I’ve never been in a cruise ship before, this must have been an amazing experience. Would love to go on a cruise vacation. That does look like a wonderful cruise. My favorite part, just looking at your pictures, has to be the chocolate bar. I bet it cost twice a normal cruise, but it looks like it was well worth it. That first night alone is wonderful Plus free wine! Amazing ship for being a small ship. 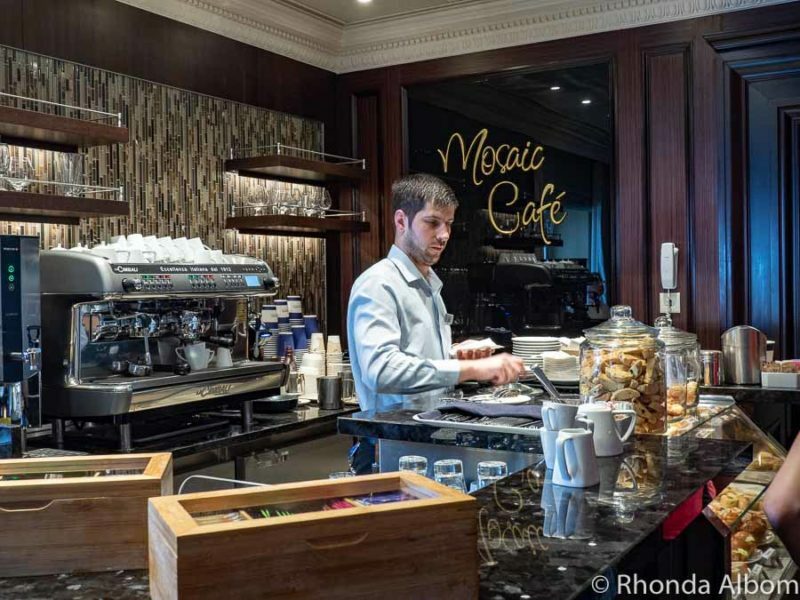 Beautifully decorated, the coffee shop would be my spot every day. While you were on the water, was it smooth or were there times when you were bouncing on the water? 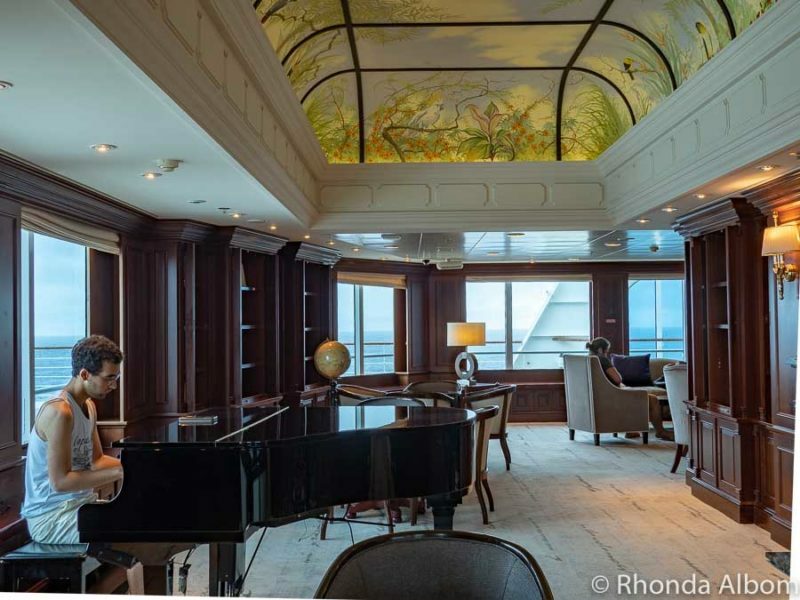 Rhonda, I just loved this blog about your ship. This ship that I’m on, the Celebrity Reflection is a type of ship that you would love. This will be the third time in a row to be on the Reflection. Both times we only had 2 children. It’s a ship for people like me. Thank you for writing about your cruise ship. I’m interested about cruising and the ships. Well done my friend. See ya. WOW this cruise ship is Amazing. I would love to go on a trip like this. Holy wow! That sounds like an amazing trip! I love cruising and I’ve always wanted to see this area. I think this would be perfect for me. Now that is cruising in style. I’d have no problem with their dining rules. I don’t want to see that stuff while I’m eating. At least ten hours every stop really gives you time to explore. 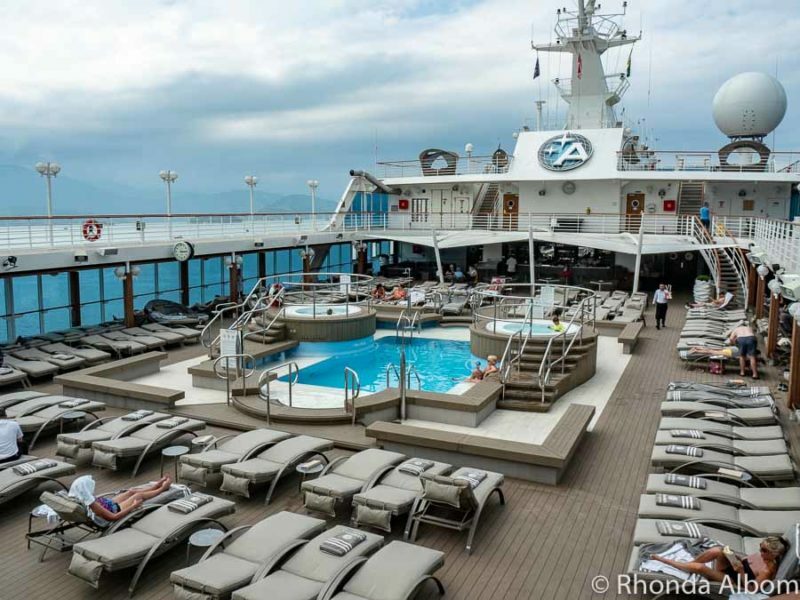 Great review on this cruise and I love the pool and the AzAmazing evening, very happy vibe! I was on a cruise almost 10 years ago and after reading this post, I feel like its time to go for another cruise. That would be my idea cruise Rhonda. Not done one yet because I need a more intimate, seamless experience. if the ship gets crowded it spoils the experience for me. Ditto for excursions. Sensational review.